FOX has renewed top-rated drama Empire for another season. 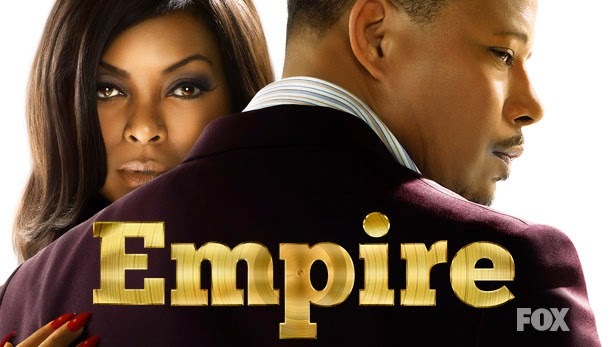 FOX has renewed hit primetime soap opera Empire for a fourth season. The series returns for its spring premiere Wednesday, March 22 at 9 p.m. ET/PT. The critically acclaimed series has garnered multiple Emmy Award and Golden Globe nominations. It was the only broadcast series to earn a 2016 Golden Globe Award nomination in the category of Best Television Series - Drama, and Taraji P. Henson won the Golden Globe for Best Performance by an Actress in a Television Series - Drama. Additionally, Henson has received back-to-back Emmy Award nominations for Outstanding Lead Actress in a Drama Series. The series also earned a Grammy Award nomination for Best Compilation Soundtrack for Visual Media. Empire recently received seven NAACP Image Awards nominations, including one for Outstanding Drama Series. Empire stars Terrence Howard, Taraji P. Henson, Jussie Smollett, Bryshere "Yazz" Gray, Trai Byers, Grace Byers, Gabourey Sidibe, Ta'Rhonda Jones, Serayah, Bre-Z, Xzibit and Morocco Omari. In addition to the regular cast, the series has featured guest appearances by a wide range of talented performers, including Mariah Carey, Taye Diggs, Phylicia Rashad, Chris Rock, Alicia Keys, Marisa Tomei, Naomi Campbell, Ludacris, Adam Rodriguez, Rosie O' Donnell and Andre Royo. Empire ranks as the No. 1 broadcast drama among Adults 18-49 for the third consecutive season and is the No. 1 broadcast entertainment program among Adults 18-34, Teens and young women. Empire earns FOX's largest Total Multi-Platform audience, averaging almost 16 million Total Viewers for the 2016/17 broadcast season, up +82% from its Live + Same Day delivery.